The Global Commission on the Economy and Climate was set up to examine whether it is possible to achieve lasting economic growth while also tackling the risks of climate change. 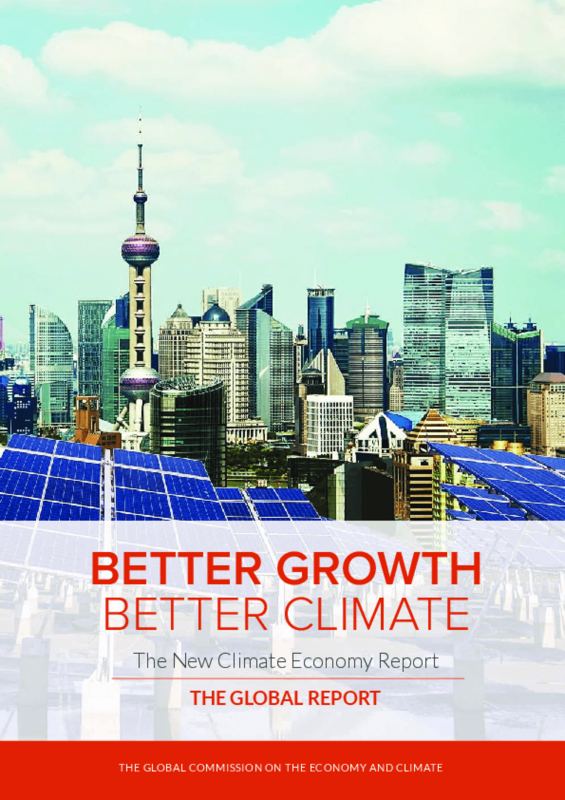 Its report seeks to inform economic decision-makers in both public and private sectors, many of whom recognise the serious risks caused by climate change, but also need to tackle more immediate concerns such as jobs, competitiveness and poverty. The report brings together evidence and analysis, learning from the practical experience of countries, cities and businesses across the world. Copyright 2014 The Global Commission on the Economy and Climate.